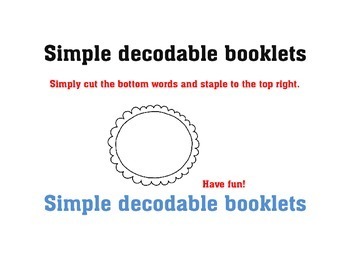 cvc simple decobable books to help with 1 to 1 correspondence. Easy to use cut up books. 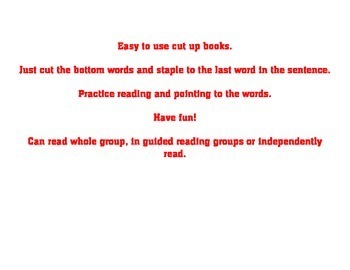 Just cut the bottom words and staple to the last word in the sentence. 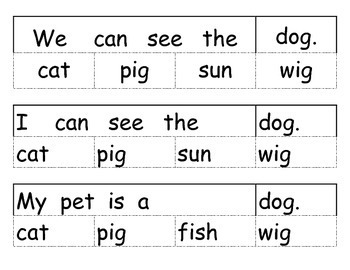 Practice reading and pointing to the words. Can read whole group, in guided reading groups or independently read. 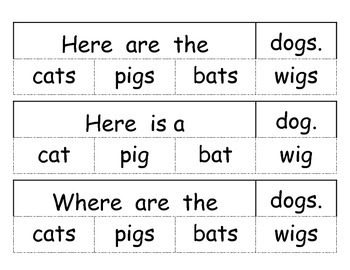 Learn about spacing, punctuation, etc. Log into TPT. Click My Purchases. Under purchased product title, click Provide Feedback, and rate your purchase. It's that simple! Add up credits and Save! Click the "Follow Me” star under my store name on this page or my store homepage.